Thus far, about 600 alleged Bible contradictions have been discussed on this site (click here and here). This is a respectable number and each visitor can draw their own conclusions regarding the reliability of the discussions that challenge these ‘contradictions’. Where necessary there have been given various illustrations of grammatical refinements that cry out for better translations of the Biblical text. Where Christian writers have proposed so called scribal errors to explain difficulties, but without variants in the scriptural tradition, these ‘errors’ have been rejected consequently and the problems have been resolved. However there is another source for the preoccupation of so called Bible contradictions: the historical critical method of Bible interpretation. Especially concerning the New Testament this method has far reaching consequences. Professor B. D. Ehrman has proposed many Bible contradictions and he is also a strong supporter of the historical critical interpretation of the New Testament. In his book ‘Jesus, Interrupted’ (2009) he never tired of stating that the words of Jesus have been written down many years after the events: about 35 – 65 years later (p. 145). There are, however, no strong arguments for this position and professor Ehrman is the first to acknowledge that, however many scholars agree with him and follow the historical view: there would have been an oral tradition preceding the writing of the Gospels. And many people suppose that a considerable amount of discrepancies have crept into the Gospels via the oral tradition. Integrity of the gospel writers? 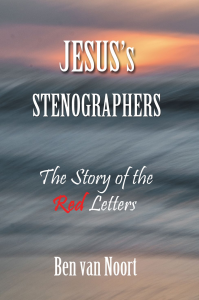 According to Ehrman the oral tradition was the interruption between the historical Jesus and the Jesus of the apostolic preaching in the Gospels. According to him this would have made possible the ‘Christian invention’ in the Gospels that Jesus was divine (p. 249). It is clear: the idea of an oral tradition preceding the Gospels is not a harmless, but a devastating concept. The orthodox or evangelical theology (to which the present author adheres in general) against this view is that the period of about 35 – 65 years is too short for mythologizing. This sounds convincing, but is it? Isn’t it a dubious plea for several reasons? (a) The argument presupposes the integrity of the gospel writers and consequently of the Gospels. However how many spiritual leaders in the past have been proven to be unrighteous? (b) Moreover the many dissimilarities in the Gospels—despite the similarities—seem to contradict the integrity of the Gospels. So the current evangelical theology on this point is certainly not automatically convincing. Has there ever been any oral tradition? It is the conviction of the present author that how many alleged Bible contradictions one may test and falsify, there will always be an understandable hesitancy about the reliability of the Biblical account. It is more logical to accept discrepancies if there was an oral tradition previous to the written text. This general feeling will never be dissipated, how many alleged contradictions will be explained as non-contradictions. Therefore it is a must to understand that writers followed promptly after Jesus. The main points to understand that this is indeed the biblical truth, will be given here, despite the vast majority of theologians that never have dreamt of this possibility. Speaking about the Gospel of Luke we have to realize that Luke also wrote the biblical book Acts of the Apostles. The Gospel and Acts were two separate books, as there have always been two titles. This means that the prologue of the Gospel was intended by Luke exclusively for the Gospel and the events described in it. – Many have undertaken to compile. There were a lot of people who had started to make accounts. Their work was in writing as Luke followed their example (verse 3): it seemed fitting for me as well … to write! – An account of the things. This is: things that have happened (deeds, acts) that merit description. The deeds of Jesus. – Accomplished among us. This is: while in accomplished state among us. Who are ‘us’? They were the bystanders, spectators, eyewitnesses or even more widely the generation that heard about these deeds/events at the time that they occurred. In short: the first generation that had heard (about) Jesus. So it is said in verse 1 that many people made accounts, stories about the deeds of Jesus, during his ministry. What oral tradition? – Just as they were handed down. This means that the many of verse 1 made their accounts accurately as they were handed down to them. – To us. Here again is mentioning of ‘us’: the first generation. It is of vital importance to see that the ‘us’ of verse 1 and 2 are the same group. It is against every grammatical rule to change the meaning of a reference word in a sentence. It is undeniable that already within Jesus’ ministry many people made accurate reports. What oral tradition? – Eyewitnesses. This refers to individuals who were very close to the events (deeds, acts) and who became eyewitnesses of them already from the beginning. They handed down what they saw to ‘us’, the bystanders. This seems strange as if eyewitnesses handed down to other eyewitnesses. But no, the eyewitnesses that handed down, had an extra qualification; they were also servants of the word. – And servants of the word. Literally: also being servants of the word. Two remarkable things about this. (a) What word? Of course the spoken word of the events, there is no other possibility. (b) They handed down the spoken word of the events. We have two verbs with an aspect of synchronism: handed down and being servants of the spoken word. Their service during the spoken word was: delivering, handing down. And that makes oral delivery (oral tradition) impossible during the spoken word of the events. No, the handing down was by writing in the nature of things. In short: verse 2 excludes oral tradition and includes note taking during the events. What oral tradition? Luke followed the example of the many (verse 3: as well), i.e. he also used reports directly from Jesus’ ministry to publish his Gospel. And of course, so did the other gospel writers. There is much more to say about the prologue of Luke, but so far so good. It is a breathtaking thought that Jesus had speedy writers while within living memory the people have always been told that the servants of the word were the ministers of the Word, the preachers of the Church. Already Athanasius in his famous Easter Letter of 367 AD used the term in this way. In his former mentioned book professor Ehrman tries to convince his readers that we don’t know exactly the ins and outs about Jesus: “How can we know anything at all about the historical Jesus?” (p. 147) However the Holy Scripture has given the answers long before. By the work of Jesus’ writers we are indubitably in possession of the facts. Concerning his divine origin. How often people knelt for Jesus without his refusal? Which Jew dared to say: The son of man is (I am) Lord of the Sabbath? Jesus challenged his opponents asking them how David could call the Messiah “Lord”? It all started at Jesus’ birth with the announcement by an angel about “Christ, the Lord”. And it ended with Peter’s declaration (Acts 2:36) that God had made Him “both Lord and Christ—this Jesus whom you crucified.” Yes, He who had suffered so terribly without form or majesty (Isaiah 53:2)—in sin is no form or majesty—was restored, raised and brought up to the throne of heaven. That is the uninterrupted Christ of the Gospels and we are the lucky people in being fully informed about the miracle of Life and to become part of it. Compare the article: Ehrman-Contradictions, and Jesus’ Stenographers 1.